Dr. Kunhiyop is a native of Nigeria who received theological degrees from conservative seminaries in America. He currently serves as provost of the doctrinal program in a South African seminary. 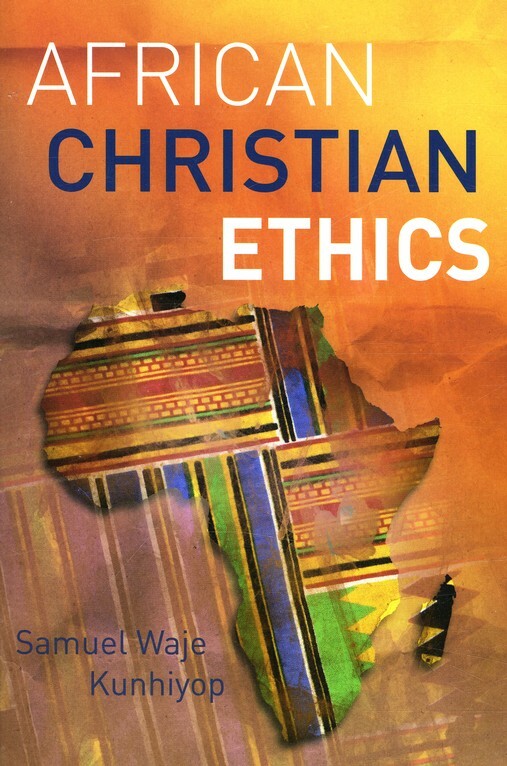 African Christian Ethics is an ethics textbook from an African point of view and is long overdue. It is concerned with truth and how it applies to the litany of moral dilemmas that Africans face. He encourages the reader to be grounded in the words of the Triune God rather than oral traditions of their forefathers. What exactly is “African ethics”? Part I (“Ethical Foundations”) probes several facets of African morality. First, understanding African ethics is difficult because so little is written down. Many of the sources are customs and oral tradition. Second, African’s are “incurably religious” (15). Religion permeates all aspects of life. Contrary to many Western foundations, debate about the existence of God is ridiculous to the African. But while Theists they are—orthodox they are not. To the African, God is only good. When evil happens (death, lightning, sickness), the spirits are responsible. Spirits have great power, but not like God. They can help or hurt, so pleasing the ancestors is crucial. Third, a major aspect of African morality is community. The idea of “we” and “us” in ingrained in every child’s mind. A proverb from the Lube tribe says: “When you get meat, share it with your family, or no one will share with you when you don’t have any.” The idea of “me” is Western. For the African, “I” exist only because of “we”. Part II explores 24 contemporary issues. This is where Kunhiyop’s contribution is most evident, as many issues that are given whole chapters are non-existent in the majority of Western ethics books. Examples are: striking, bribes, fundraising, polygamy, domestic violence, widows and orphans, female circumcision, HIV/AIDS, and witchcraft. ACE is lucid, orthodox, and biblical. I agreed with nearly all of the author’s conclusions (unusual for a book on ethics!). He helped me gain a better grasp on a host of cultural and moral issues. His chapters on corruption, fundraising, witchcraft, and alcohol abuse were especially helpful. The chapter on contraception was one of the largest in the book. Not surprisingly, when I taught on ethics to a classroom of Zimbabweans, Tsongas, and Vendas, there was no topic that brought longer discussion and greater emotional intensity than the issue of birth control. There were a few areas of weakness. He calls the mandate for a newly converted polygamist to forsake all of his wives but one a “rigid and unsympathetic view” (225). Admittedly, this is a very difficult issue, but Kunhiyop aroused in me more questions than answers. Also disappointing was the closing section on female circumcision (commonly known as Female Genital Mutilation). He actually implores us to “respect” the honorable people who practice this (298). Finally, the author is naïve when he downplays immorality as the overwhelming cause of HIV in Africa (319). I thoroughly enjoyed this work and agreed with the majority of the author’s conclusions, especially on matters that are so rarely written about. May God rise up more African scholars willing to grapple with the moral dilemmas facing their continent. Samuel Wojo Kunyihop. African Christian Ethics. Nairobi, Kenya: Hippo Books, 2008. 400 pp. Thanks for this review Paul! I’m reviewing Kunhiyop’s book for a B.Th assignment and your short review was a wonderful starting place and inspiration.